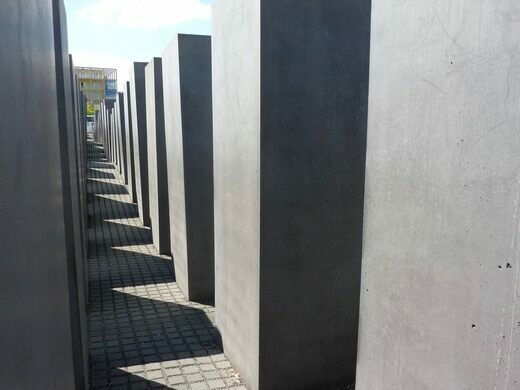 Completed on December 15, 2004, the Memorial to the Murdered Jews of Europe was built in remembrance of the six million Jews killed during the Holocaust. 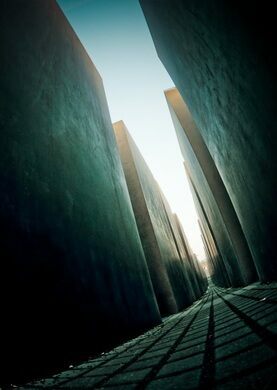 By pairing aesthetic minimalism and a massive scope, the memorial generates an incredibly powerful tension for its visitors. 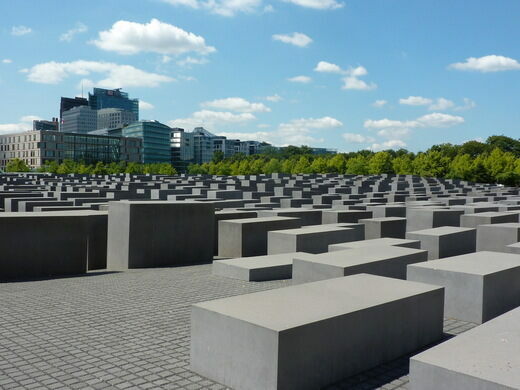 Altogether 2,711 unmarked grey concrete “stelae” or slabs cover a city block situated just south of the Brandenberg Gate. 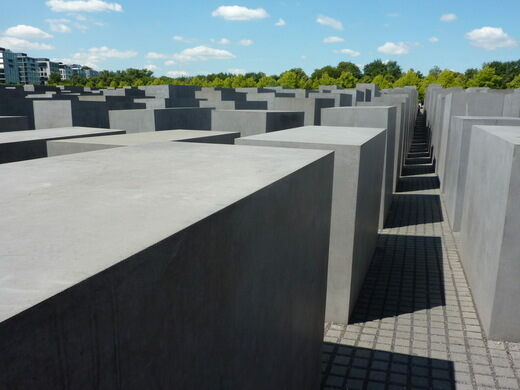 Each and every one of the stelae is identical in dimension ( 7’ 10” by 3’ 1”) and eerily reminiscent of coffins, though they vary from eight inches to over 15 feet in height. 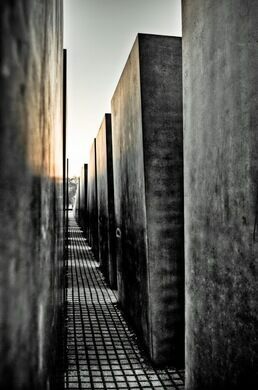 As a whole, they create a labyrinth where visitors are easily lost, contributing to a pervasive feeling of bewilderment while walking amidst the memorial’s network of open-air corridors. 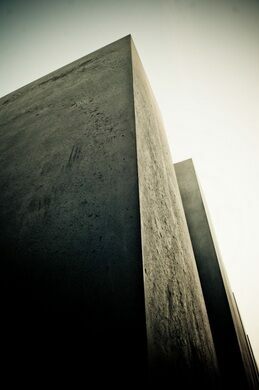 Since its debut, both praise and criticism have been directed at the memorial. 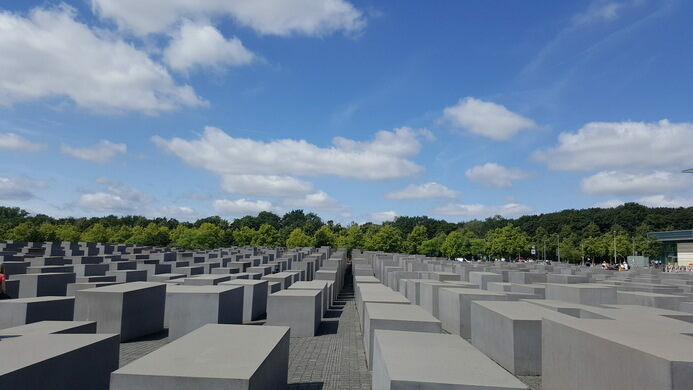 Critics of the work at once find fault in its commemoration of a single demographic victimized by the Nazis rather than the multitude of those affected including large numbers of Europe’s Roma and homosexual populations. Still, others find the vagueness of the monument’s title disturbing, in that it avoids any assignation of blame for who, exactly, took these individual human lives. 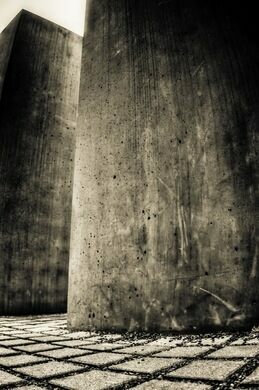 Meanwhile, architectural scholars praise its stylistic execution. 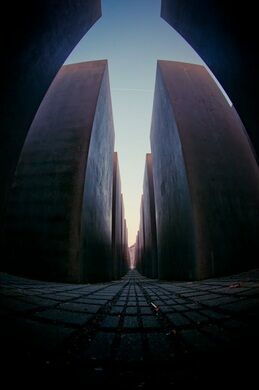 As Nicolai Ouroussoff noted, Berlin’s monument avoids sentimentality in the face of an internationally affecting event, instead, “showing how abstraction can be the most powerful tool for conveying the complexities of human emotion.” All scholarly debate aside, finding a visitor who emerges unmoved by the visual impact of the installation seems unlikely.